Here at Qualitetch, we offer phosphor bronze etching services to our clients. 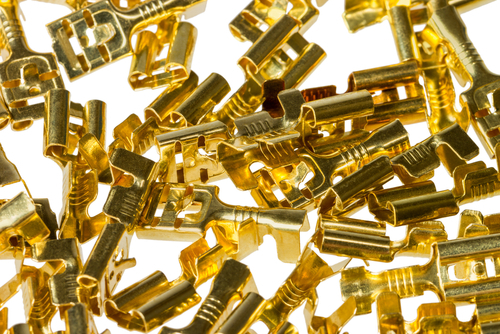 This material is incredibly useful across a full range of applications, meaning that phos bronze photo and chemical etching is a highly versatile and adaptable method of manufacturing quality components. This versatility means that the process of phosphor bronze photo etching is one which can be used for many different products across a full range of sectors and industries. Some of these uses include contacts, lead-frames, jewellery, decorative purposes, signs, and much more besides. When you choose Qualitetch for your phosphor bronze chemical etching requirements, you are choosing the very best quality etching. All of our components are built to last, as we only create products of the very highest quality. Etching bronze is ideal for those occasions when accuracy and precision are vital, as the etching process produces polished, burr-free components of the highest standard. From start to finish, we are continually putting our customer”™s needs first, individualising every step of the process to enable us to tailor the end result to each client”™s specific requirements. This ensures that the high standard synonymous with the name of Qualitetch is maintained and adds to our proven track record of success and satisfaction amongst customers. To learn more about our bronze and phosphor bronze photo and chemical etching, please contact us on 01354 658787.